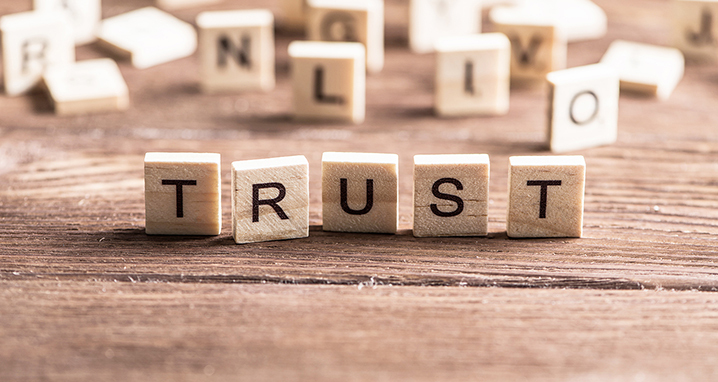 In a recent conversation with the CEO of a public company, one of my colleagues inquired about the role trust plays in his organization. His response mirrored those of his peers over the past ten years when we first started asking this question. Upper management gets a pass as the underlings get the scrutiny. Management and HR gossip about employees. They instructed me to do things that were not inline with the company handbook. When I would point out the discrepancies they would refer to it as a corporate typo. Coworkers were rude and made lewd comments towards the women. They say there is zero tolerance policy for harassment but when a team leader or supervisor is the one doing the harassing it is completely acceptable with the HR department. This is a great place to work if you enjoy being miserable and underpaid. Speaking in 2016 at an annual conference of the Arthur W. Page Society, Paul Polman, CEO at Unilever noted that without trust in companies, there can be no genuine prosperity. Seventy-five percent of U.S. graduates, he said, do not want to work for big companies anymore. In today’s rapidly changing business environment, building a trust-based culture should be a top priority of both the Board of Directors and CEO. Why? Our FACTS® Framework calculates the trustworthiness of US based public companies and we have issued an annual report of our findings since 2012. On average, the “Top 10” most trustworthy public companies have outperformed the S&P 500 by over 30% annually. The business case for creating a trustworthy culture continues to be made, yet, it is rarely acknowledged let alone implemented. It requires not only leadership acknowledgement but also the acceptance and application of the essential principles upon which a foundation of trust can be built. In the summer of 2017, Trust Across America-Trust Around the World’s global Trust Alliance began to develop a set of universal trust-building Principles that could be applied in any organization of any size. 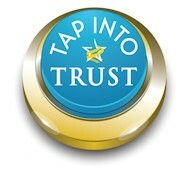 TAP (Trust Alliance Principles) was published in April 2018 and is currently available as a free PDF download in 15 languages. As of August 2018, our movement has attracted over 21,200 global professionals. Can these Principles impact workplace culture? Absolutely. Let’s start with the first principle of TRUTH. In a high trust culture, employees are not afraid to speak the truth. In fact, they receive positive feedback from leadership for doing so, regardless of the “issue.” This builds two-way trust (and confidence) in both leadership and among team members, as personal and/or professional gains take a back seat. What is Talent? Too often, it gets boiled down to skills. And yes, skills are a given. Yet, for an organization to experience ongoing success, it takes more than skills. It requires highly coordinated action which requires a culture of trust — a culture of trust capable of delivering the superior returns on equity well documented by the FACTS® Framework. How does talent show up in a culture of trust? In organizational life, stressful times are an opportunity to gauge the mettle of its people. In difficult moments, talent shows when an individual displays moral character by addressing the higher good rather than a personal agenda; when that individual finds the right word, the right question, the right idea, the right action that embodies the shared values of the organization and inspires others to a solution. Two organizations may have the same skill set, but talent will distinguish the vibrant one from the ho-hum one. And getting back to Paul Polman, what has he done differently at Unilever that most leaders have yet to do? Very simply, he has evolved the company into one with a culture of PURPOSE. Doing so requires leadership that is committed to a shared vision transcending beyond the walls of the company itself. When culture and purpose unite, attracting and keeping talented employees is just one of the many positive outcomes. Building trust-based principles into the DNA of an organization elevates security among employees. They spend less time looking over their shoulders and more time engaging, innovating, collaborating and working for the “greater good.” Efficiency increases as decisions are made faster and turnover decreases. 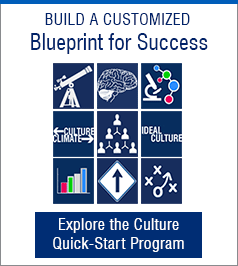 In today’s team-driven business world, building a culture based on trust is one of the most important responsibilities of leaders in all types of organizations, and it’s no longer “just about profits.” While companies may go to great lengths to establish a culture that encourages trust, it falls upon individual leaders to follow through with those intentions and deliver that level of trust to both their internal and external stakeholders. How have you encouraged trust in your organization? Are there opportunities to facilitate more awareness about trust? I invite your thoughts and comments. Barbara Brooks Kimmel is the CEO and Cofounder of Trust Across America-Trust Around the World whose mission is to help organizations build trust. A former consultant to McKinsey and many Fortune 500 CEOs and their firms, Barbara also runs the world’s largest global Trust Alliance and is the editor of the award winning TRUST INC. book series and TRUST! Magazine. In 2012, she was named one of “25 Women who are Changing the World” by Good Business International, and in 2017 she became a Fellow of the Governance & Accountability Institute.